Did you know? Cork is naturally harvested from specific oak trees (Quercus suber). The cork (or outer bark) is gently harvested, without the use of any machinery, from the trees when they are 25 years old. The bark regenerates and the tree continues to thrive and grow reaching at least 150-250 years old! 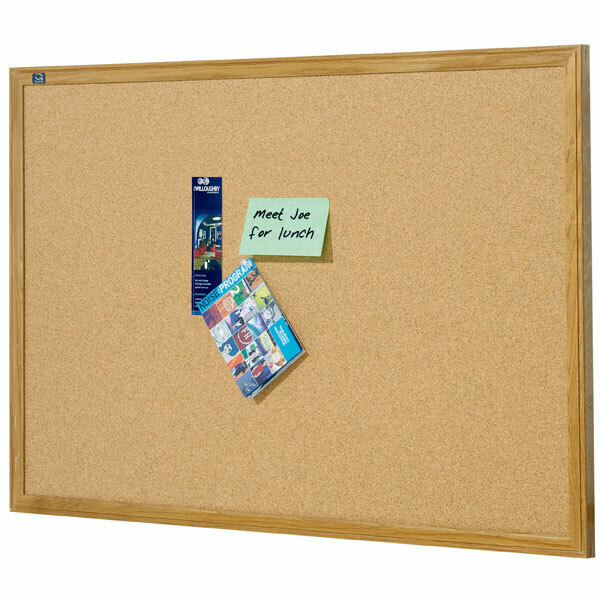 Entry level cork board with pine frame. Ideal for home and/or small office. Brackets and screws for mounting included. Choice of popular sizes available. 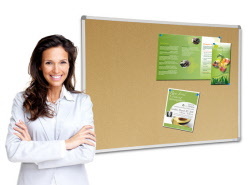 Commercial aluminium framed cork boards with stylish rounded corners. Accepts even the longest pins! 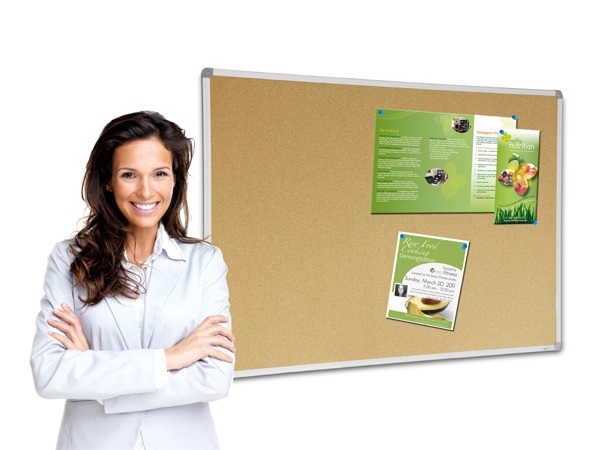 Penrite corkboards make an elegant yet powerful way to deliver and arrange information in any room. 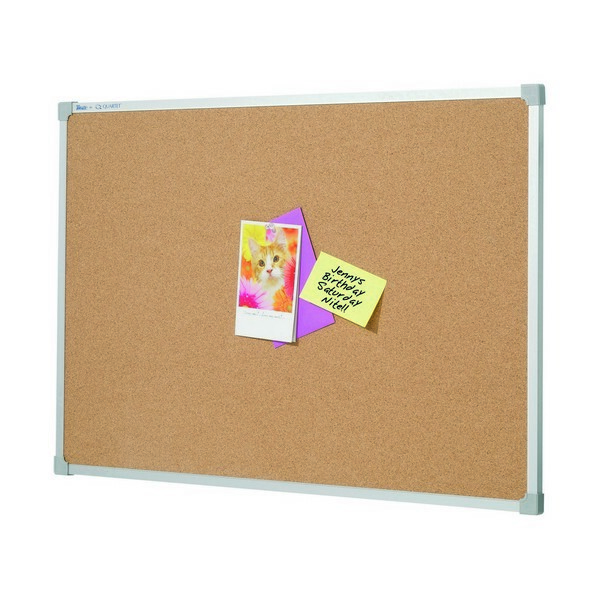 Ideal for pinning notices, reminders, photographs, schedules and more. 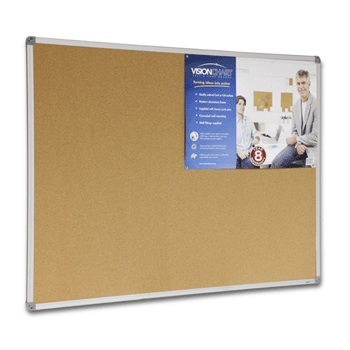 These cork boards feature a high-density cork lined surface with a stylish aluminium frame trim and easy mounting system. 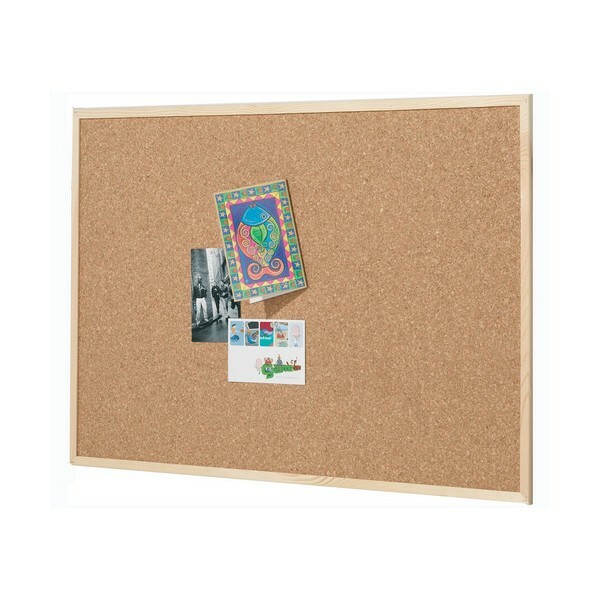 Resilient cork bulletin board with a beautiful oak finish frame. The frame corners are mitred, glued and clam-nailed for extra strength. Factory installed mounting brackets included.